Our social work starts with doing business in a fair way ! At Himalayan Ecotourism we are driven by our mission to “bring Himalayan rural communities on a sustainable development path, with conservation of the Himalayan ecosystems as a means to meet economic and social well-being”. We believe that conservation is primarily the matter of the local communities. Hence, we consider empowerment and awareness of the locals of utmost importance. Working as a social enterprise allows us to bring the locals as the main stakeholders of their own development, and to sustain our effort towards conservation. Our ecotourism activities are something we do in order to sustain ourselves economically and financially and to network with the global community about our cause. 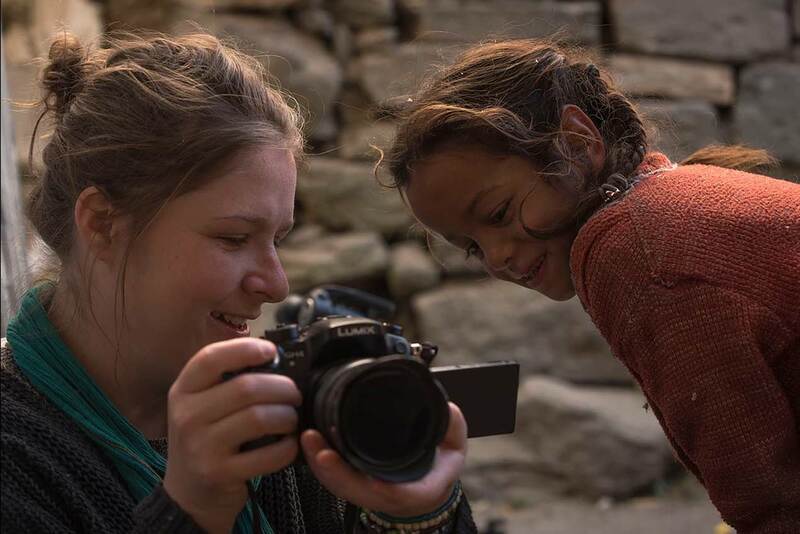 Our slogan is “creating joy and sustainability in the Himalayas” which perfectly captures what we aim to do. We believe that to achieve sustainable development in remote rural areas the local community needs to be socially and economically empowered. That's why we have encouraged the people of the ecozone of the GHNP engaged in tourism activities to come together to establish their own society : "The GHNP Community-Based Ecotourism Cooperative". We, the cooperative members and a couple of other professionals/supporters work together as Himalayan Ecotourism for organizing your treks and travels. We have set the rules so that everyone has a larger benefit being a member of the cooperative rather than working as an individual. Each member has at least one share in the company. It means that your trekking staff do not work as simple daily-based wage earners but as shareholders of the company. Himalayan Ecotourism is the company of your staff ... That's why they care so much about you, their customers, and very soon their friends. Therefore, our cooperative model is not only good for the locals, it is very good for your travel experience as well. The cooperative has become the instrument of the locals to raise their voice, to claim for their rights and to envision a growing path. We have greatly enhanced the social, economic and even politic empowerment of the local community. 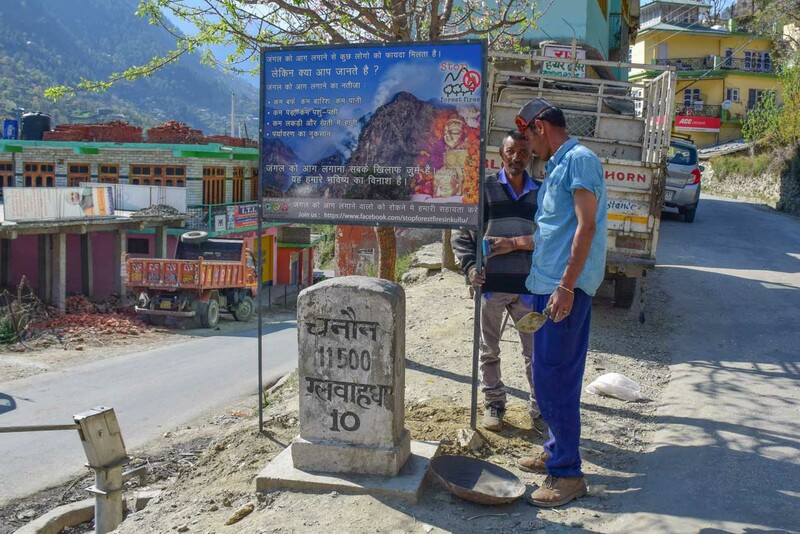 Opening a new trekking route outside the GHNP to avoid congestion in the Park. 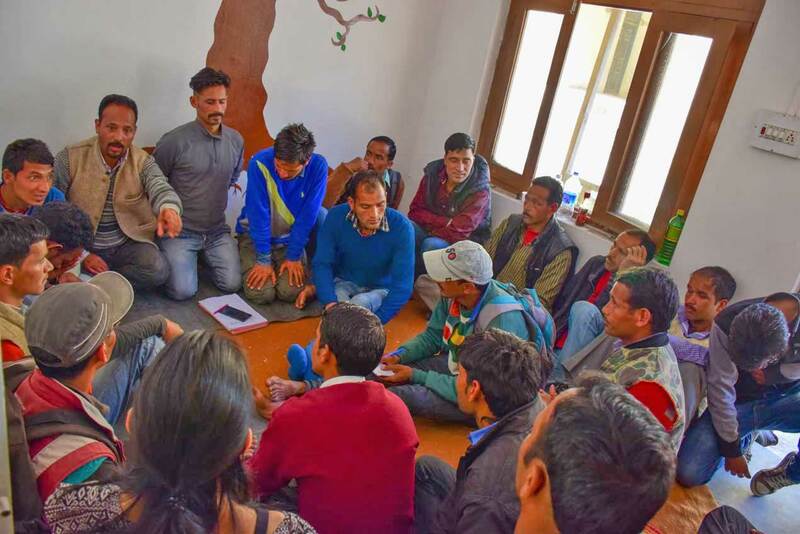 Cooperative meeting in our Gushaini office in the ecozone of the GHNP, Tirthan valley. 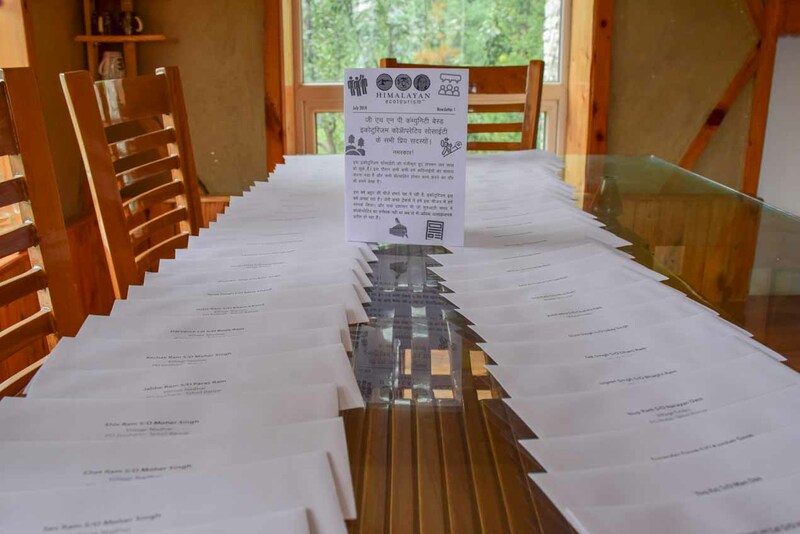 All members of the cooperative (65) receive our newsletter by post. News and encouragement for everyone ! The economic and political forces against the cooperative have been huge. But we did it ! Igniting fires in the forests is a common practice in the Himalayas. The reasons are a wrong economic calculation. And the consequences are immensely dreadful. Most of the forest lands are burned every year leaving us with very little chance of preserving the Himalayas as a shelter for invaluable biodiversity and as a source of oxygen, water and other vital resources in a near future. Hence, we have set our “Stop Forest Fires” project as a priority. Offering new income generating activities as a substitute for the forest fires short term economic benefits . 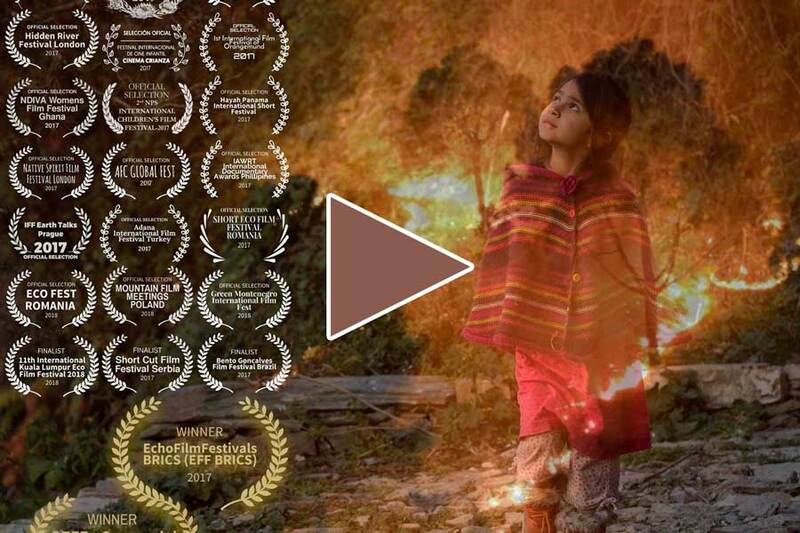 To talk about the adverse impacts of forest fires. Raising awareness and creating social movements require to develop proper communication tools and skills. 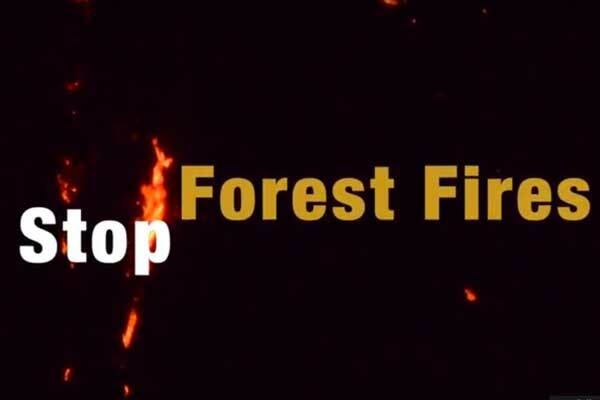 Photos of our work for "Stop Forest Fires"
We made a documentary in Hindi to raise awareness of the local about the importance of conservation. About the adverse effects of intentional forest fires in the Himalayas. A much appreciated steps. 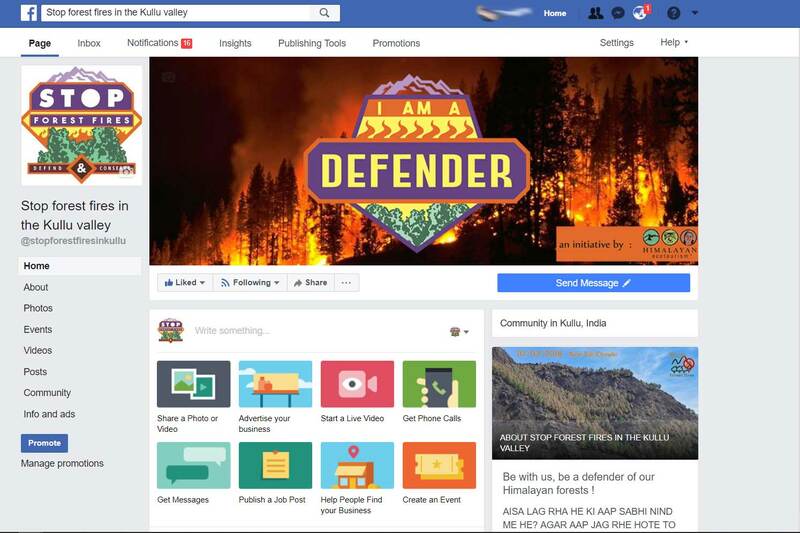 We report all major forest fires on this Facebook page to mobilize the local community. Raising awareness of school kids about the consequences of forest fires, and giving them pamphlets. Fighting forest fires where it hurts, and creating a social movement against the intentional fires. 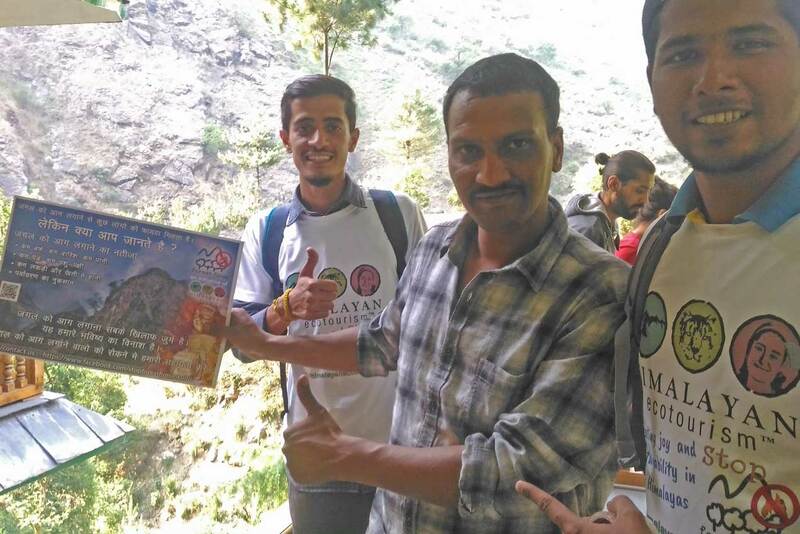 Our interns roaming the Tirthan valley for placing Stop Forest Fires posters. Unfortunately, we have to report that the situation of women in our part of the Himalayas is quite poor. From the time of their birth, local girls are the victims of blatant discrimination and have a much lower social status. That gave us an additional reason to work for women empowerment as we believe that women are the key the conservation and sustainable development. Working for women empowerment where women have such a situation is not an easy task. But it is a crucial effort as many unsustainable practices and development are due to the male- and caste-dominated system. One must face the cultural barriers to bring a change in that respect. And that is quite challenging and time taking, especially in an area where the women status as well as the caste system are, still today, seen as unchangeable cultural traits. We try to show the local families a way where women can have a role at a higher level than washing plates and other household duties. Bringing women together for saving money and discussing their problems, and then training them to making of value-added products appeared to us as to be the first step. We wish to see them earning their own money, in an organized and collective way, so that they may gradually grab more power and responsibilities in the local system. Ideally this could create a great synergy with our cooperative society. As we said, it is virtually a never-ending task. We will keep on working on this and update you! Being together helps in gaining confidence. Problems are being discussed as well as the new opportunities we try to create. We have offered many trainings for value-addition of local products. Wool is abundant in the ecozone of the GHNP. We've trained selected women for making of felt. The women were proudly showing one of the first finished products they made. A funny activity that involve creativity. 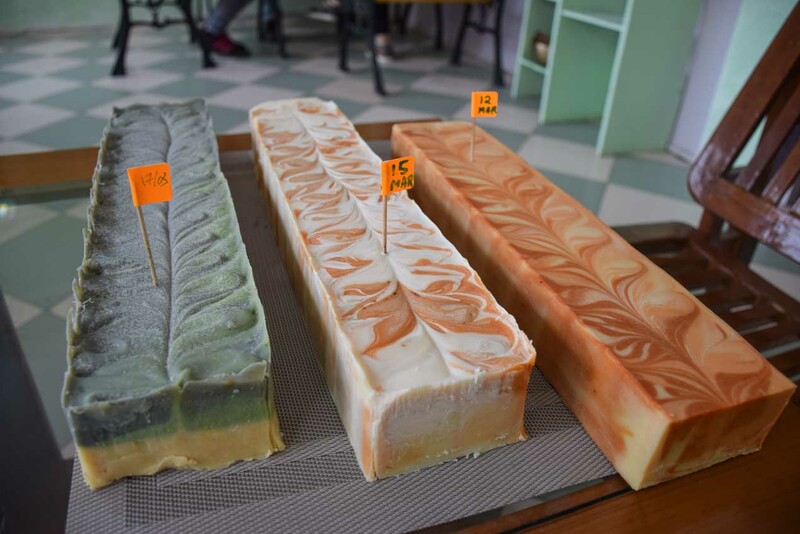 Our soaps are just lovely ! We encourage the local women to organize their own seed bank to avoid dependence on GMO seeds from market. For women trekkers we propose to have women staff in the team. And that's just great ! In these times of high-tech and emerging artificial intelligence, millions of people are still using wood for their energy need without any technologies that ensure efficiency and safety. In this part of the Himalayas, most of the people cook, warm their houses and heat water with the help of ridiculously simple wood stoves which are obviously highly inefficient, polluting and emitting toxic smoke. 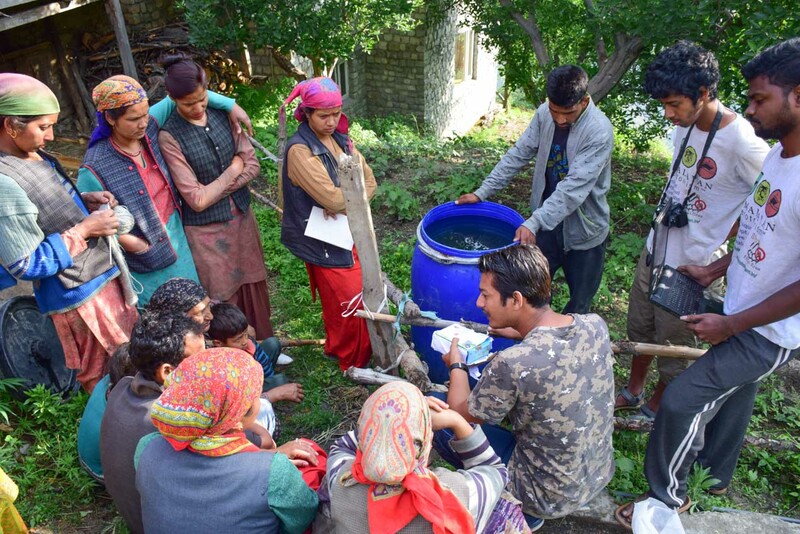 After 3 years of R&D, Himalayan Ecotourism has developed three models of clean and efficient wood stoves and one model of solar cooker, very appropriate for the need of the local community. We have given our project the name of Symbioz. 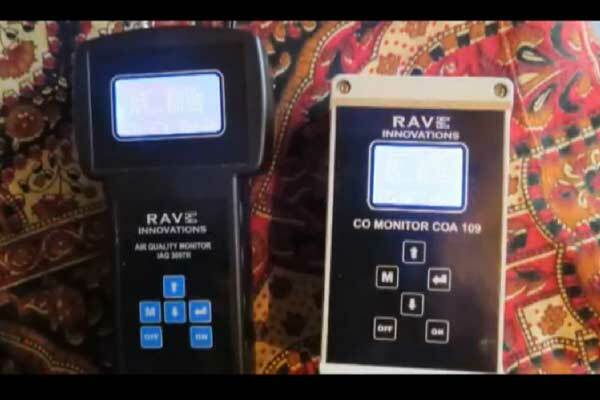 Presently our most promising stove is in the hands of some professors et IIT Mandi for the last stage of the research : to make the stove more user-friendly and easier to manufacture. 3 models of clean stoves and 1 model of solar cooker have been developed for the local villagers. We have demonstrated our "Bashleo" stove in many villages of the ecozone of the GHNP. 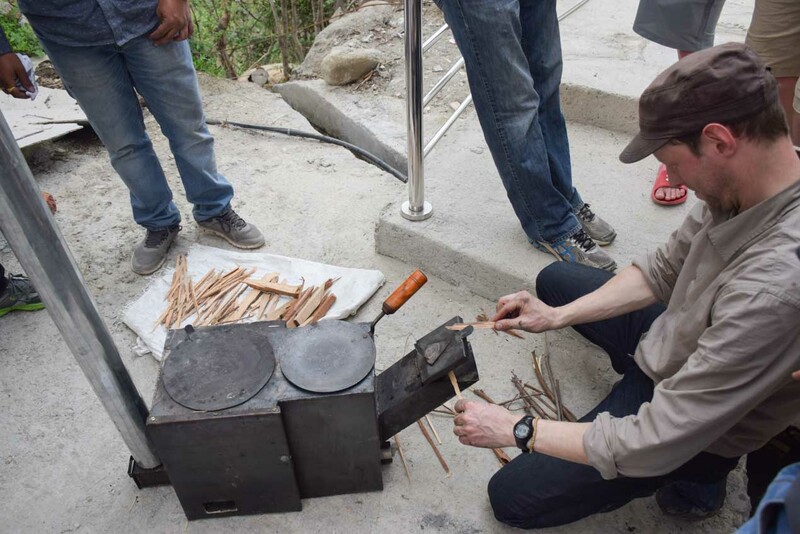 The "Rohtang" stove has been handed over to a team of researchers at IIT Mandi for further development. 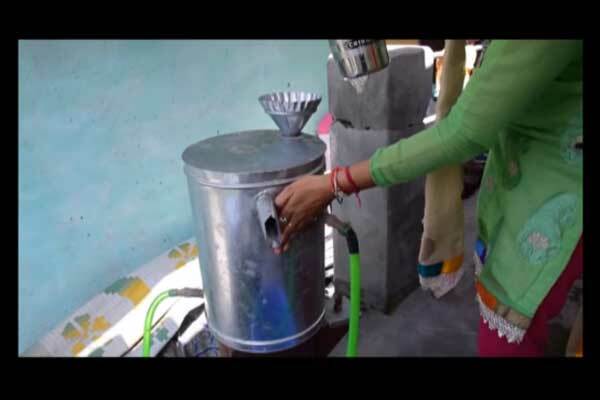 Our green technologies are being promoted in the villages by women only. 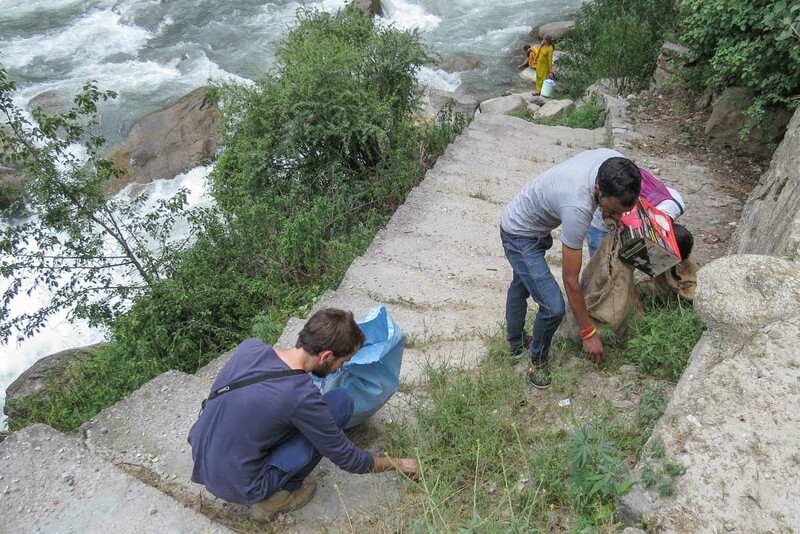 Occasionally we clean the Tirthan riverbanks from all waste thrown away by locals and tourists. We introduce to the villagers innovative practices of organic farming. We advise the locals who want to set up their own homestay. Stephan, co-founder of Himalayan Ecotourism, shows some of the work undertaken by Himalayan Ecotourism. Fighting forest fires by raising awareness of the local people. 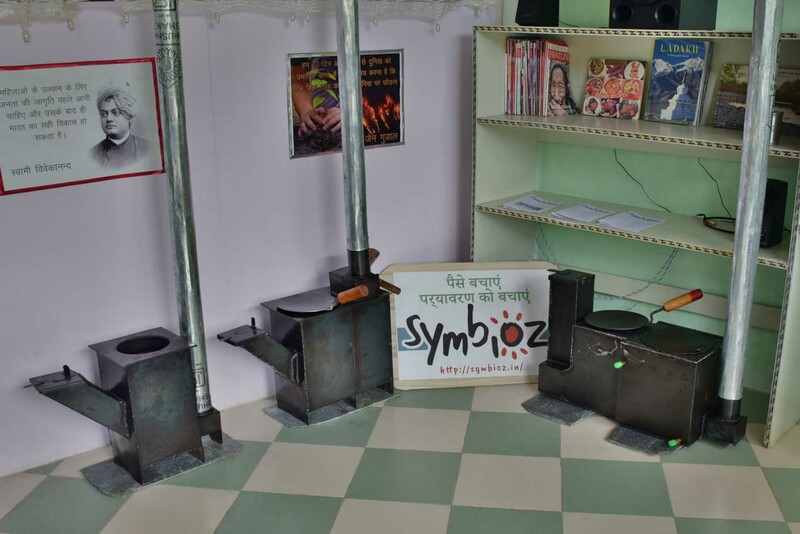 We demo our Rohtang stove at our office in Banjar. 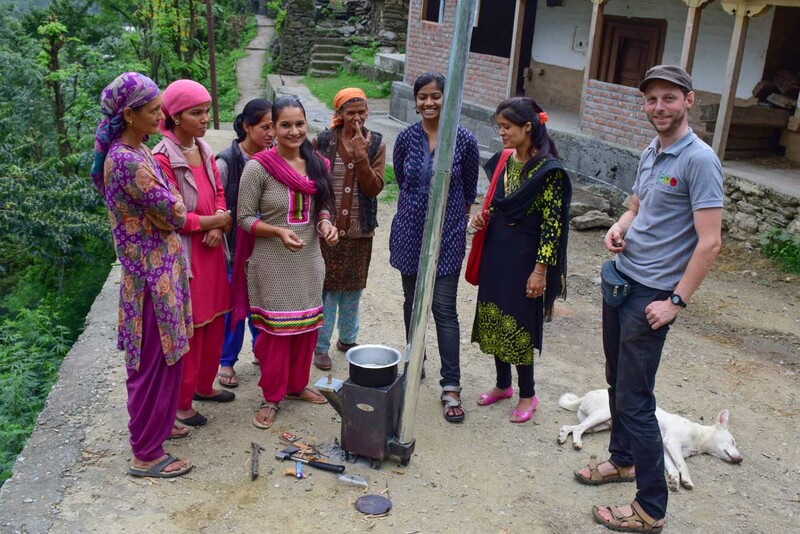 Demonstration of a stove prototype in the village Khulti. 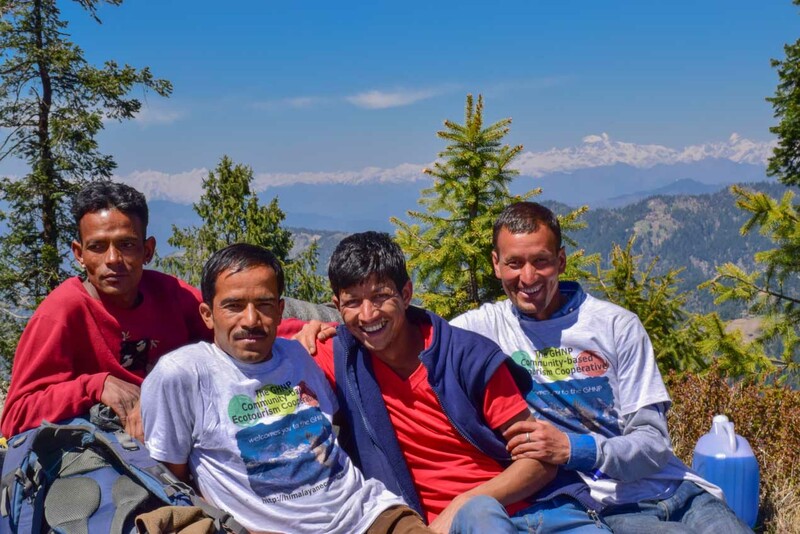 With the support of the "Friends of the GHNP", Himalayan Ecotourism starts interacting with the local men engaged in tourism activities. The core team of the GHNP Community-Based Ecotourism Cooperative is formed. We decide to gather a maximum of local guide, cook and other trekking assistants before registering the Cooperative society. 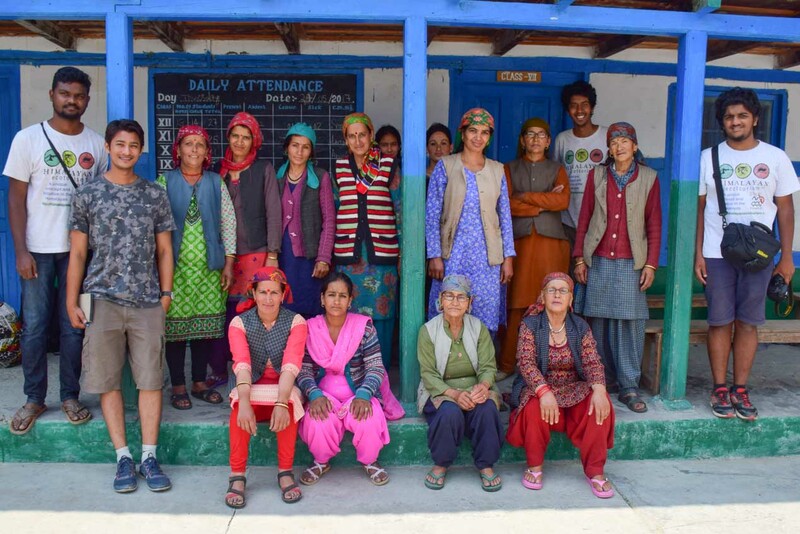 Himalayan Ecotourism plans to work with the women folk in the ecozone of the Great Himalayan National Park. 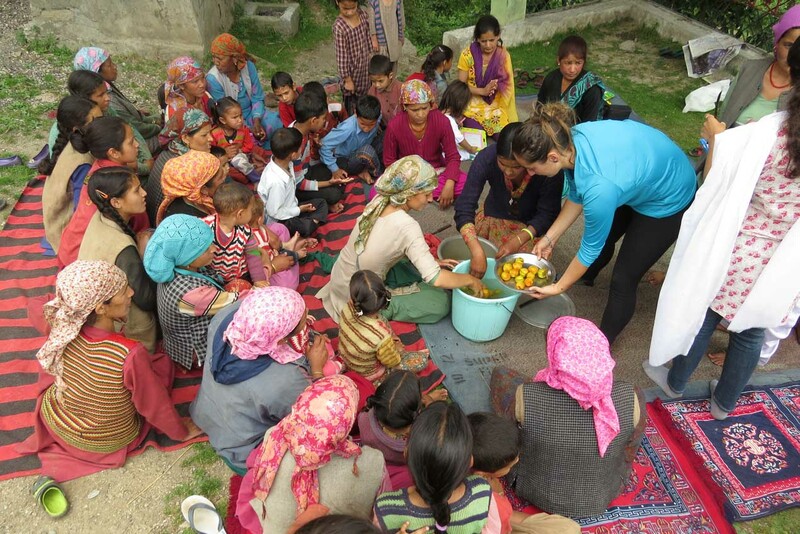 Most of the villages of the Tirthan valley are reached by our team to brainstorm with the women and understand better their point of view, their problems and their expectations. 65 villagers from the ecozone have joined the movement. 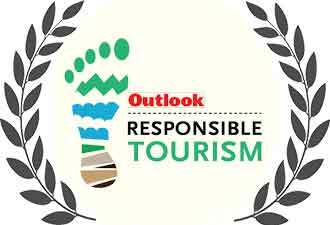 The Society is regitered in Kullu under the Cooperative Act as "The GHNP Community-Based Ecotourism Cooperative". With the support of the cooperative the GHNP is nominated as a World Heritage site by UNESCO. 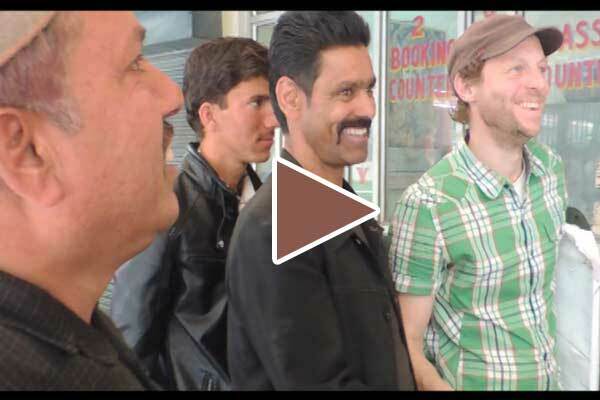 We organize a trek to Rolla for the two founders of the "Friends of the GHNP", Sanjeeva Pandey and Payson Stevens to celebrate the nomination. We take dozens of groups on trek in or around the GHNP. They are all very happy with our services. 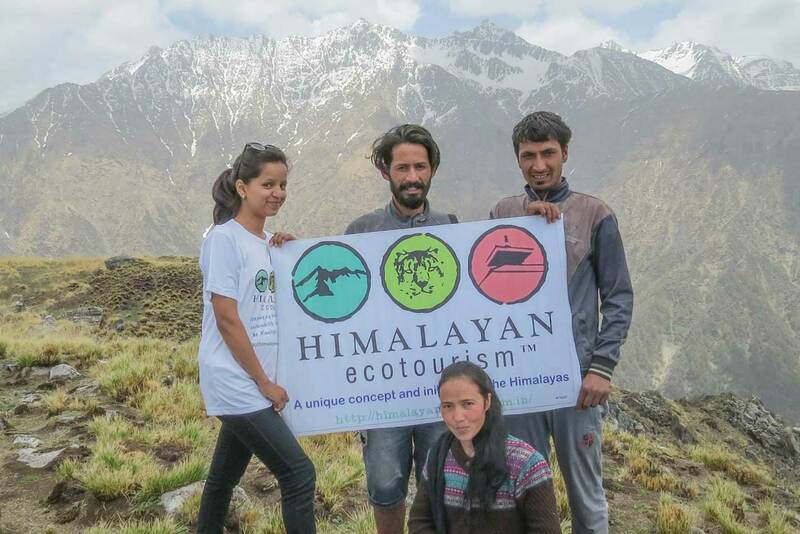 It is the beginning of the successful story of our social enterprise "Himalayan Ecotourism". 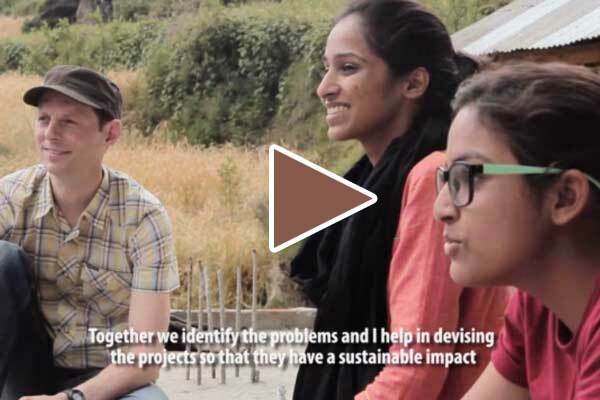 Himalayan Ecotourism welcomes 14 interns and volunteers to work on capacity building of the cooperative members and to mobilize & train women for launching their own micro-enterprise. Two women Self-Help Groups are formed in the village Pekhri. They are trained to make felted wool, hand-made soaps and fruit jams. We decide to address the issues related to energy in the ecozone of the GHNP. We mobilize funds and researchers to start the development of green technologies. Sadly we had to acknowledge that some of the local powerful people (economically and/or politically) do not wish to see the villagers, the mass, to get aware, mobilized and empowered. The cooperative is being first ignored by them and then attacked in very unethical ways. But the sense of unity that has emerged within the Coop has brought them enough confidence to stand against these intimidations. They have resisted and came up with greater awareness of their democratic rights. That's real empowerment ! 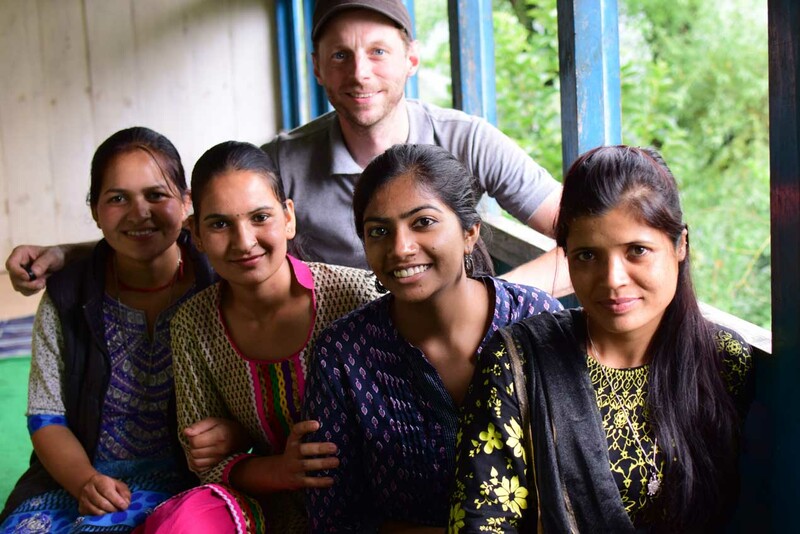 Himalayan Ecotourism welcomes 18 interns and volunteers to work on reinforcing the business structure of the cooperative, to further mobilize and train women, and to participate in the development of an advanced wood stove. Training of selected guides to winter treks. Mobilization of the women in the villages Pekhri, Kulthi, Tinder and Bandel in the ecozone of the GHNP. They are assisted in forming their women Self-Help Groups. 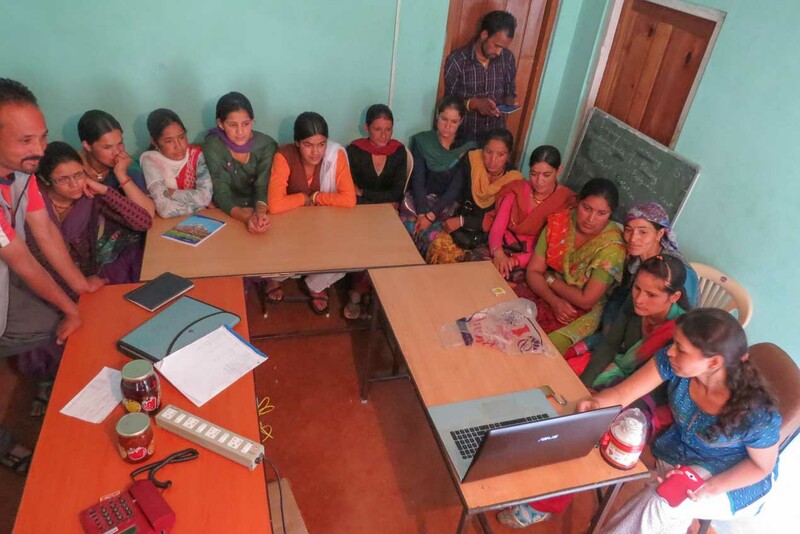 Some members of the cooperative who learned felt making in 2014 have organized training for the women. The know-how is shared within the community. A very good omen for our social movement. Some of the women are engaged in production of apricot oil, jams, soaps and body balm. 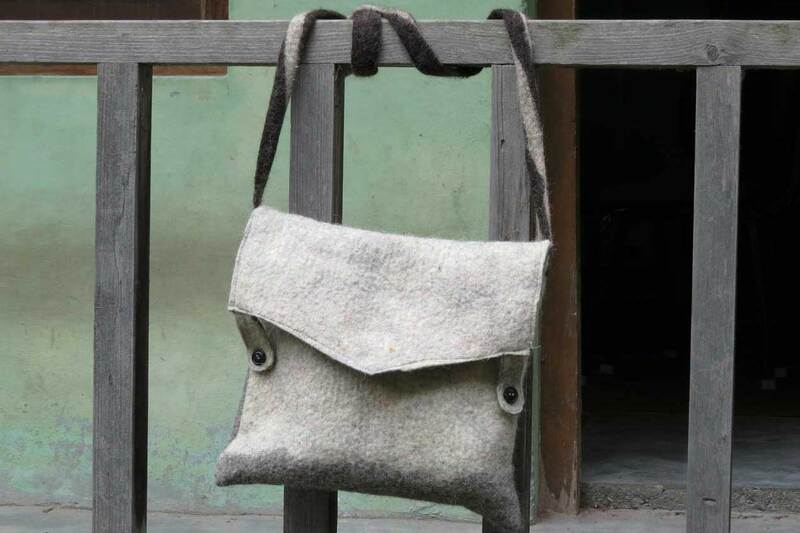 They launched their own venture called "Himalayan Eco-Creations". The products are sold to the visiting tourists. Prototyping of the wood stove that gradually turns into a clean multi-fuel and multi-utility stove. Himalayan Ecotourism has organized several tours in Lahaul & Spiti and Ladakh. A great experience for the cooperative members and our guests. College groups are taken on trek. The cooperative has taken up the next challenge : to establish itself as the main genuine ecotourism operator in the area. 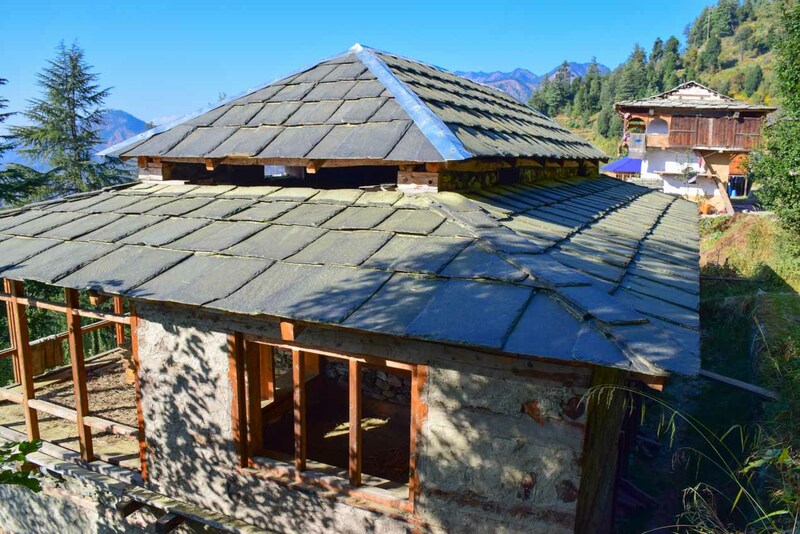 Symbioz is established as the daughter organization of Himalayan Ecotourism for designing, producing and selling of green technologies in the ecozone of the Great Himalayan National Park. We have taken several initiatives to raise awareness of the people in the entire Kullu valley about the adverse impacts of forest fires. We have open our main office in Banjar to be closer to more local people. The front part of our premises have been arranged in a café. The café business in entirely in the hands of women. The café is named "Life Lovers" and it is frequented by the locals so that they can know about our work and can get involved. Himalayan Ecotourism is recognized as a unique concept and initiative in the Himalayas. We are a 4.9 out of 5 stars trek & tour operator. We have the heartly encouragment from leading figures from the non-profit sector, forest department and many other like-minded personalities/organizations. We have upgraded our trekking plans to "Everest" and "K2" thanks to the a second import of excellent camping equipment. We are unbeatable on the comfort and hospitability offered during our treks. 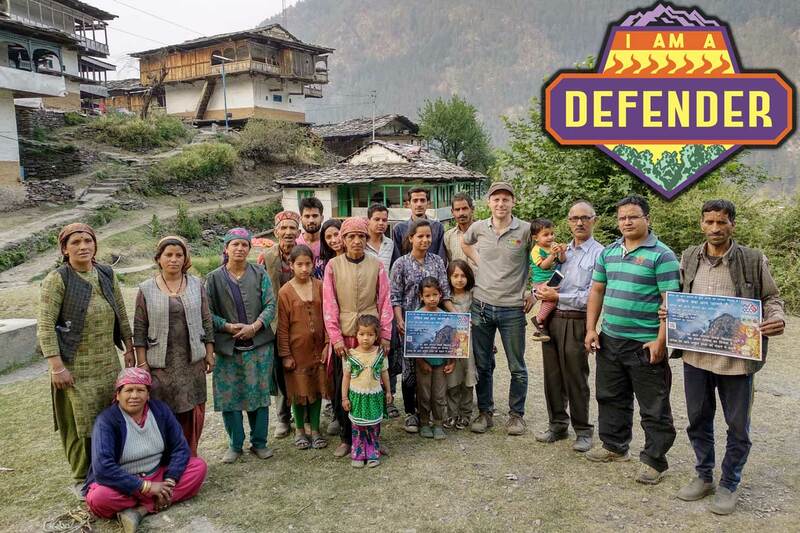 We are initiating a huge local community movement to fight against intentional forest fires around the Great Himalayan National Park. More women are joining our women empowerment program at the Life Lovers café. We are making hand-made soaps, body cream and balm, fruit jams & pickles. All natural, made locally by women with local ingredients. This is available for the tourists visiting us. The ultimate purpose of our social enterprise is to create a replicable model of tourism business that promotes conservation and empowerment of the local community. And we are on the right track. With a more regular volume of business our cooperative members feel more confident. 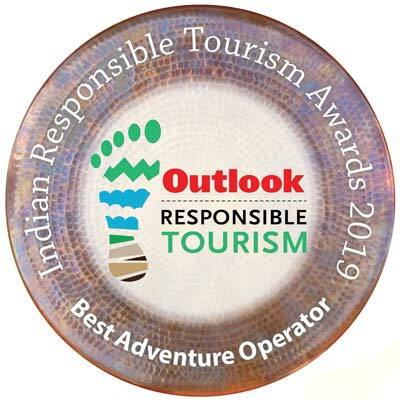 After many years of struggle to be recognized by the local elite, the cooperative stands now at the national level of recognition being shortlisted for the Outlook Traveller "Indian Responsible Tourism Award" 2019. 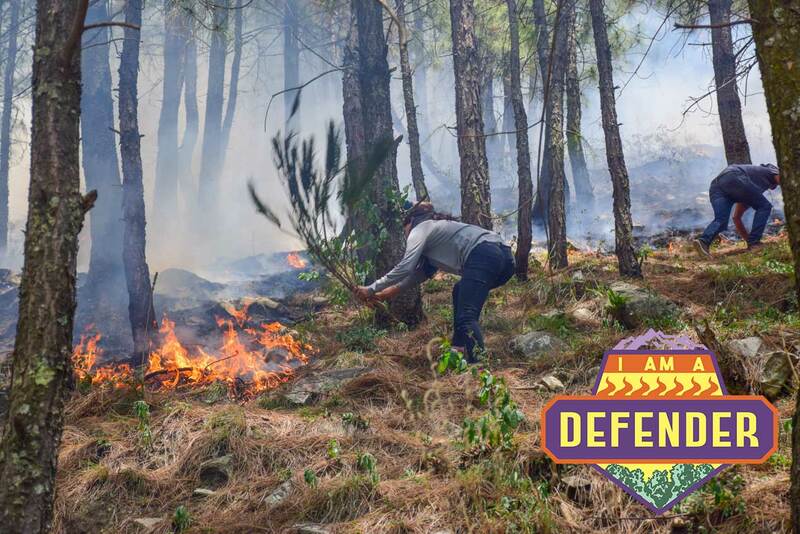 We have been very active for reducing the number of intentional forest fires in the Tirthan valley. Our efforts seem to bear fruit as not a single forest fires was reported between the monsoon and the end of the year. That is well above our expectations ! Local women are employed as trekking staff for leading women trekkers. Considering the local culture this is a great achievement ! In 2018 we also started taking elderly and physically challenged persons into the wild. It is so nice to be in the wilderness with people who thought they won't be able to do it ! So far no women empowerment efforts could be sustained on the long run ! This has been quite discouraging. But we didn't give up the fight and a couple of women have been trained for making value-added local products. A complete workshop has been set up, and we plan to start the sales in 2019. And the most important, our cooperative members have taken several initiatives for regeneration of their ecosystems and for involving the local women in new income generating activities. This is a good sign that our model starts working and will evolve based on the initiative of the locals.